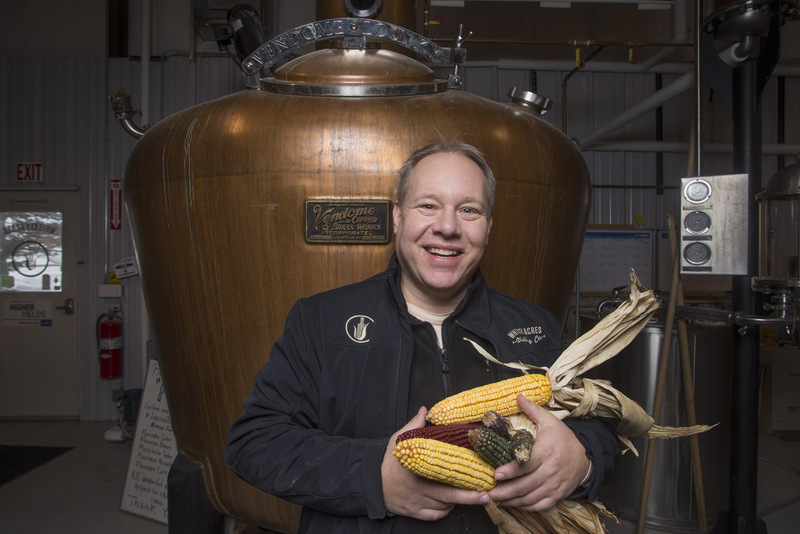 Jamie Walter, President and CEO Whiskey Acres Distilling Company, DeKalb Illinois. He and his and his father Jim are business partners. They are corn/wheat/soy farmers who take advantage of the off-season to generate other business through their crops. Shown here in the space where they distill their grains into bourbon, rye and vodka, holding samples of the corn they grow.